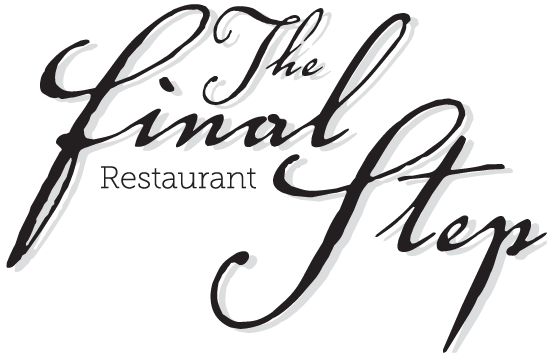 The Final Step Summer Season Menu - Website of finalsteprestaurant! Crisp salad leaves, spinach, figs, walnuts, mozzarella cheese and topped with Parmesan shavings dressed with a honey and Balsamic dressing. Goats cheese baked on a rich tomato sauce with toasted pitta. coriander and sesame seed salad. Seared Scallops served over a warm bacon and Parmesan cream sauce and garnished with chopped chives. Tender fillet steak grilled to your requirement accompanied with dauphinoise potatoes and seasonal vegetables with a sauce of your choice. Mushroom, Pepper, Blue Cheese or Chilli Jam. Homemade ravioli filled with Marscaponi, hazelnuts and chives drizzled with a light Pesto dressing.